“The feeling was more than overwhelming to stand in a place that no one ever entered before me,” writes Jost Kobusch about his first ascent of the 7296-meter-high Nangpai Gosum II in the east of Nepal. 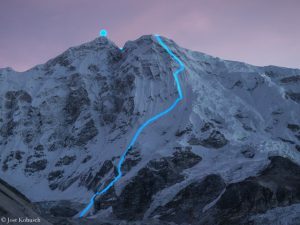 As reported, the 25-year-old German had scaled the till then fourth-highest unclimbed mountain on earth two weeks ago. “Such ascents are still pure, real alpinism,” Jost writes to me. “This is exactly the direction I want to take – because a solo on a route with other climbers is not a real solo. I would like to enjoy alpinism in its purest form. For me, this is the maximum of minimalist mountaineering.” In the meantime, Kobusch has also given details of his route, which he graded to me as “TD”, which means “very difficult” (in the International French Adjectival System (IFAS) ,TD stands for “Tres Difficile”, with sustained snow and ice at an angle of 65-80 degrees and rock climbing at grade V and VI). 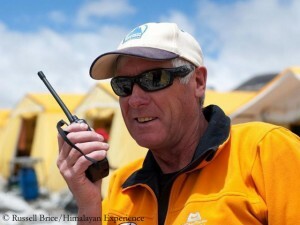 He was en route with a very small team: the Nepali cook Ngima, kitchen helper Phurba and cameraman Raphael Schardt, who, according to Jost, only joined him once on the way to the Advanced Basce Camp (ABC) at the beginning of the expedition, later only filming with a large telephoto lens from the Base Camp. Apparently, the new route through the Khumbu Icefall is more than a little course correction. 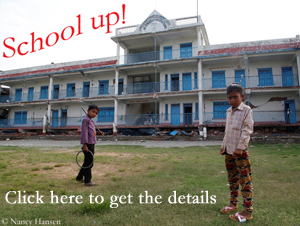 That is indicated by the images that the US guide Garrett Madison has published in his blog. Expedition members of his Madison Mountaineering team had flown over the icefall above Everest Base Camp by helicopter and had looked from the air where the so-called “Icefall Doctors” set up the route for this spring season. The images show that the route leads – seen from below – much further to the right side of the ice labyrinth than expected. 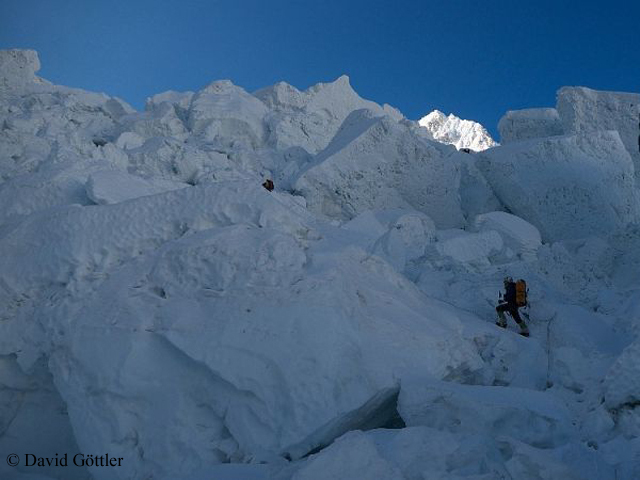 Closer to Nuptse, further away from the West Shoulder of Everest, from where an ice avalanche had released on 18 April 2014 that had killed 16 Nepalis. 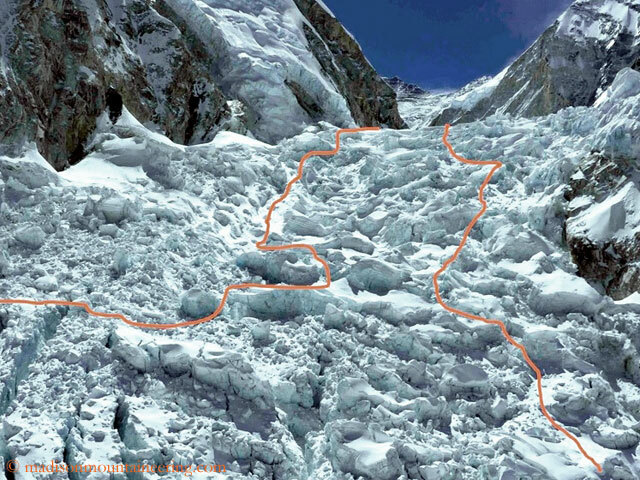 “It appears that climbers will have to negotiate broken ice as before, and perhaps more vertical ladders”, Garrett wrote adding that there was at least one section that had four vertical ladders tied together to ascend up a very large ice cliff.